Schulte & Company CPAs Ltd.
Schulte & Company CPAs Ltd (hereinafter S&Co Ltd) is a Florida limited liability corporation that serves our Florida client base. 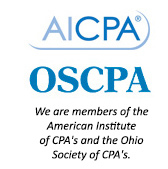 S&Co Ltd works seamlessly with the Ohio based operations of Rothrock Benefits, Rothrock Payroll and Schulte & Company CPAs Inc. to facilitate a full range of services to our clients in Florida. Rothrock Payroll Services Ltd is an on-site affiliate that processes payroll for clients throughout the United States. By providing a complete payroll solution, they help hundreds of companies save time and money, allowing their businesses to ultimately be more cost effective. With our clients’ best interests in mind, Rothrock Payroll Services eliminates the hassle by providing professional payroll services that include, but are not limited to, processing your payroll and filing all required forms and taxes. A focus of Schulte & Company is closely held businesses. Tax planning for these businesses often involves structuring tax efficient compensation and payroll plans. Having an on-site payroll processing affiliate helps to ensure that the tax planning gets implemented properly. Rothrock uses state-of-the-art information technology and systems to ensure your payroll is processed accurately and confidentially. The result is that your payroll is processed on-time, every-time. Rothrock backs its powerful systems with an experienced staff. Each payroll professional receives perpetual training and weekly updates of changes in payroll and tax laws. All this ensures your payroll is in full compliance with regulatory and payroll changes. While Rothrock Payroll provides payroll services that are similar to the services provided by other national providers, there are some noteworthy differences. At Rothrock, full service = full service. Unlike its competitors, Rothrock accomplishes ALL payroll related filings for its clients – including workers’ compensation, new hire reporting, as well as reporting and remittance to retirement, health and welfare vendors that you select. When the IRS or state taxman calls, Schulte & Company CPAs and Rothrock work together to defend you and protect your bottom line. Rothrock doesn’t charge separately for additions, deletions, changes, W-2s. Your cost is based solely on the number of people getting paid plus any out-of-pocket expenses. For more information, please visit www.rothrockpayroll.com. Rothrock Benefits Ltd is an on-site affiliate that works seamlessly with Rothrock Payroll and Schulte & Company CPAs Inc. to facilitate the provision of employee benefits for our business clients. While Rothrock facilitates the purchase of a variety of health and wellness plans for our clients and their employees, it also provides unique solutions for our closely held business clients. One of the unique solutions that Rothrock provides is a multi-employer 401(k)/Profit Sharing Plan. Each participating small business selects the vesting schedule, employer match, investment options, forfeiture options, and so on that meets their specific needs. While all the investments and reporting are handled by a national brokerage firm, there is only one tax return and year end reporting to worry about, regardless of the number of participating employers. This results in a small employer enjoying all the benefits of a fully functional defined contribution pension plan while only incurring a portion of the administrative costs.